Moss & Barnett is pleased to announce that Susan C. Rhode has been elected to the newly formed Mitchell Hamline School of Law Board of Trustees. 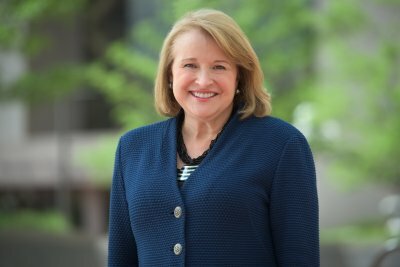 Susan is one of 11 leaders from the legal, higher education, and business communities elected by Hamline University School of Law on June 2, 2015, to combine with William Mitchell College of Law’s 22 existing board members to from the Mitchell Hamline Board of Trustees. The Board will begin serving once the Hamline and Mitchell combination receives final approval from the American Bar Association. Susan is the Chair of Moss & Barnett's family law team and is renowned for her extensive experience and high ethical standards as a family law attorney. She is the immediate past chairperson of the Minnesota ADR Ethics Board, to which she was appointed by the Minnesota Supreme Court to promote the use of ADR in the court system. Additionally, Susan was appointed in 2010 by the Minnesota Supreme Court to a six-year term as chairperson of the Fourth Judicial District Bar Association’s Ethics Committee. Susan also serves as a mediator in the Family Law Appellate Program, to which she was appointed in 2010 by the Minnesota Court of Appeals. “In addition to now serving as a leader of legal education, Susan has been a long-time leader of the bar, our law firm, and the community – our entire law firm is honored by her efforts,” said Moss & Barnett President and CEO, Tom Shroyer.